Have you noticed how often employers require newcomers to be multitaskers? If you take a look at 10 job descriptions for vacant positions you will probably notice that in 9 out of 10 the perfect candidate should be familiar with a dynamic work environment and best friend with multitasking. But is it right? You have two cows. You sell one and force the other to produce the milk of four cows. Later, you hire a consultant to analyze why the cow has died. In the modern economy, we are more or less like the poor cow. Forced to multitask. Indeed, neuroscientists have proven that multitasking divides our attention and it harms our ability to perform even simple tasks, like driving properly. What we actually do is task-switching. But while some people find it easier to switch context and change their focus faster, for most of us it is kind of difficult, isn’t it? Indeed a recent study found that only 2.5% of us can multitask effectively. What about the rest of us? If you are not a part of these 2.5% effective multitaskers, you probably have some productivity issues as we all do. So, in the following paragraphs, you can find helpful tips in order to manage your time in a better way, boost productivity and stay focused. “Stop starting and start finishing”. This simple sentence is so powerful. Just focus on finishing tasks. It seems like the Japanese realized it a long time ago. Why the Japanese? Well, this is actually the Kanban’s credo. As you may know, this is a visual workflow management system invented by Toyota and now popular across various industries. Indeed, it is widely used as a personal productivity tool as well, but let’s focus on how you can improve yours and your team’s workflow and be more efficient. Visualizing your work can help you increase productivity exceptionally. There is a reason for this. Human’s brain processes visuals much faster than text. Studies show that we process around 80 % of the information visually. There are other different researches that support this statement as well. For example, according to HubSpot’s social media scientist Dan Zarrella, tweets with images are 94% more likely to be retweeted than tweets without. Social Science Research Network, found that 65% of people are visual learners. Last but not least, according to 3M, the company behind Post-it Notes, visuals are processed 60,000 times faster than text. It seems pretty clear that visualizing your work may help you track, measure and improve your workflow in a much better way. So you can start with a simple board where you put all your team tasks. You will immediately see how much easier it will be to track work and stay tuned with all process dynamics. And remember, you don’t have to pull all your tasks in progress. Put a limit and focus. 2. Limit the work that is ”in progress”. This is actually one of the main reasons why the Kanban concept (mentioned earlier) is so successful. Again, it is simple and efficient. When you already have one thing you are working on, keep on doing it until it is done. If you try to perform a couple of tasks simultaneously you will be much more inefficient, than if you do them one by one. Simply said, it will help you stay focused and be efficient. Jumping between tasks usually involves a lot of context-switching and you basically waste a lot of time while trying to remember where you have left the previous work. In other words, if you have the capacity to bake 10 pizzas, then you can have 10 pizzas in progress and the average cycle time will be 1. However, if you try to make 20 pizzas at the same time the average cycle time will increase to 2. 3. Prioritize work. Not all tasks are urgent. Be careful with urgent tasks. I bet you receive many emails with status URGENT. However, only a few of them are of critical importance. If you pull every urgent work task and put it on top of your to-do list with a high-priority status, you will probably never start some other tasks that are waiting, but weren’t labeled as urgent. 4. Manage your email inbox wisely. I bet we all have issues with managing our email inboxes the right way if there is a such. Surfing inside your inbox to find something that you need may take a lot of time. And this is pure waste. Try to divide your emails in folders related to different projects or functions. This way it will be much easier to keep your things in order. One last thing to keep in mind when it comes to emails — don’t try to answer every email immediately. If you get a pop-up message for an incoming email, leave it until you finish your current work unless it is really critical. 5. Be careful with instant messaging. How hard is that? Once again, people don’t really care about your capacity and brain flow. Furthermore, your colleagues can be pretty annoying and use all the channels like Skype, Microsoft Teams or Slack without a reason. We all do. But it is not our colleagues’ fault. It is ours. Next time when you see the popping window down in the right corner – just don’t answer. If your brain is in flow all these distractions are devastating for your overall productivity. And if you think that it is okay, because you can multitask, you are wrong. This is task-switching. Your brain literally stops working on the current task and focuses on the new one. When you decide to go back, the most frequent question is “Now, where was I?”. When we talk about productivity there are many different areas you can improve. You can boost team or personal productivity by optimizing almost every activity in your daily work routine, from project management to copywriting. Along with this line of thinking, here are 6 SaaS tools in different areas that may support you and your team in the process. Kanbanize — Speaking of process improvement, probably there isn’t a better way to do it than using Kanban software. 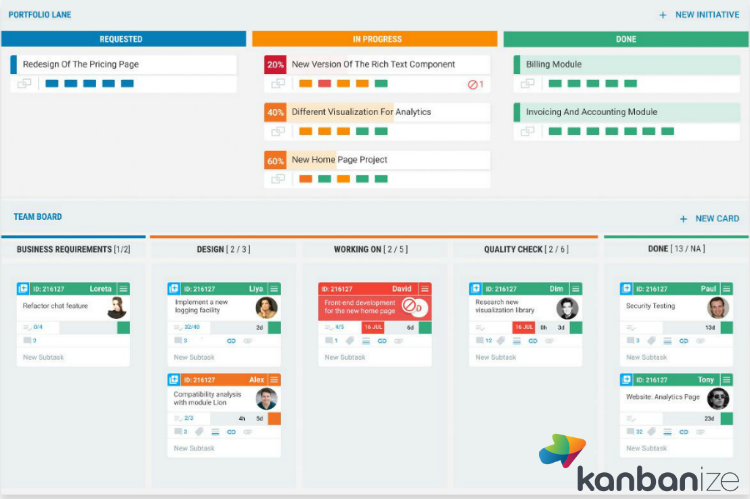 Kanbanize makes it easy for you to organize work, manage multiple projects and boost collaboration across cross-functional teams. The system has a number of integrated tools that will allow you to measure different workflow metrics such as average cycle time of tasks, throughput, blocked time and more. These will help you achieve continuous flow, reduce wasteful activities, manage projects easily and organize work with minimum effort and maximum efficiency. Flow-E — Is your email inbox chaotic? Do you get a nervous breakdown while managing your email? This tool will totally transform your email. Flow-E converts your Gmail or Outlook inbox into a visual task board. 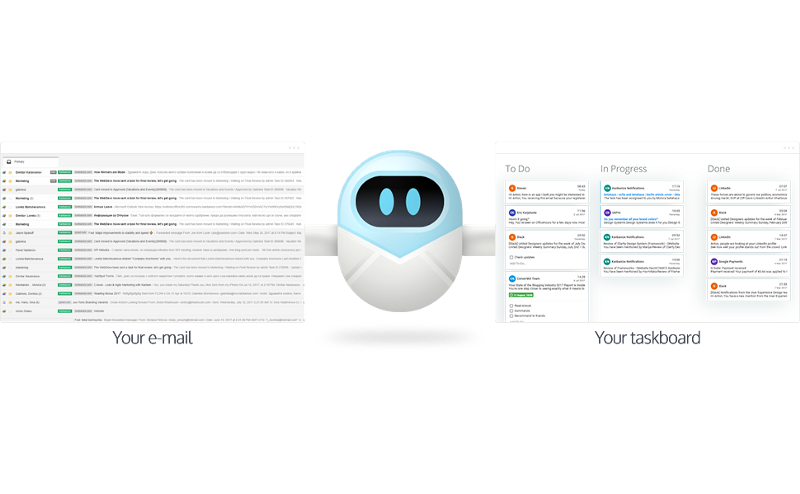 It makes it much easier for you to track your emails and get things done. You can delegate tasks without leaving your inbox, visualize your daily schedule in a timeline and much more. Zoho Social — I bet you know this one, but if you don’t it is time to get familiar. These days every business needs a social media presence. After all, it is a free advertising space for your brand. But sometimes it gets difficult to manage all channels. Instead of posting everything manually on every social media channel, you can just use Zoho Social to schedule all your posts for a week, a month or a decade (if you want) in advance. 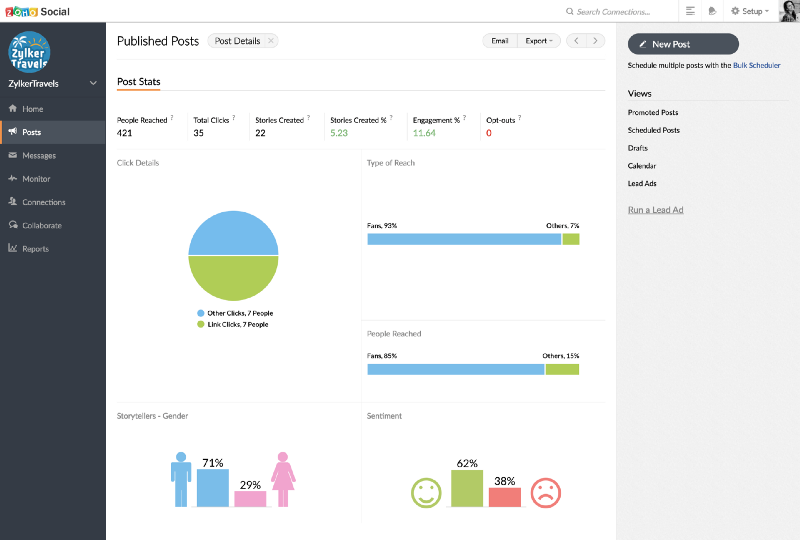 It also allows you to monitor all kinds of statistics from the different social media channels in one place. This tool saves a lot of time if you deal with social media, so you can focus more on creating amazing content. 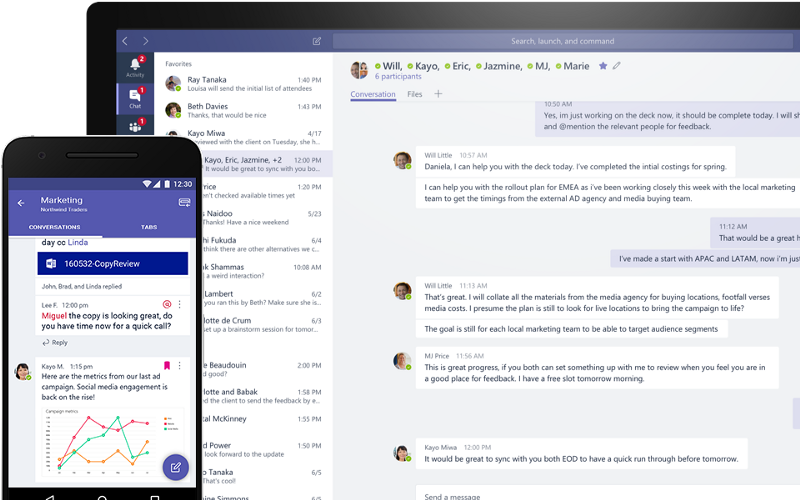 Microsoft Teams — Good communication has always been an important factor for successful companies. Having a good tool where people can communicate fast and easy is a must. Microsoft Teams offers exactly what companies need. Not only teammates can chat, but you can create different channels for each of your teams, share vital information, use mentions, share updates and so on. Grammarly — Today almost every business has to create valuable content in order to stand out from the crowd. However, sometimes you don’t have the time or resources to hire professional editors. Don’t worry, Grammarly is the solution that helps you stay on the right track when it comes to grammar, punctuation or using the right language. All you need to do is paste your text and Grammarly will offer you different suggestions for improvement if there is a need. 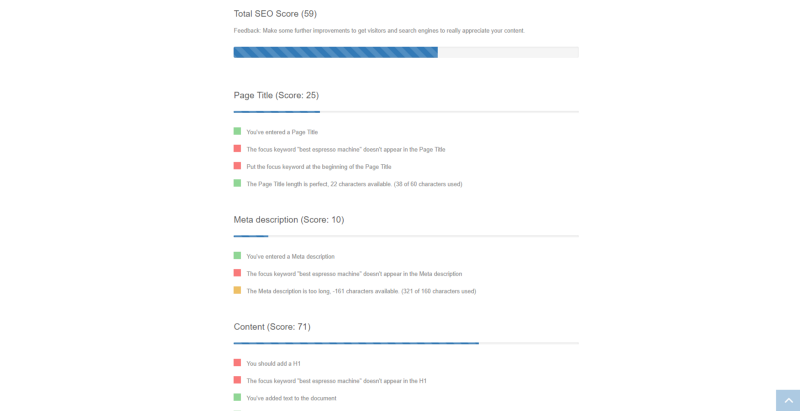 Content analysis with SEOreviewtools— When it comes to SEO there are tons of amazing tools you can use for keyword research, competition analysis and so on. However, this one can help you discover if all SEO success factors of any piece of content are covered. All you need to do is paste your article, enter the targeted keyword, page title and meta description. After a few seconds, you will see your total SEO score and where you need to make improvements. This way you don’t have to wait a couple of weeks to test your new content, but you can test in advance before publishing. Probably, there are many other practices and tools that can help you improve productivity in the workplace. But at the end of the day it is pretty simple — in order to become a productivity ninja, you just need to stay focused, try to improve continuously and use the right tools. At picksaas, we help you find SaaS software to grow your business. Chat with us, follow us on Twitter, or subscribe to our weekly SaaS software updates.